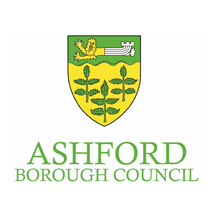 Ashford Borough Council, by its own admission, is not a traditional local council – the team is forward-thinking and has a long-term strategy to become self-sufficient from Government funding by 2020. In light of this, the council was tasked with finding a cost-effective way to attract and retain employees with the same innovative values of the organisation. This is particularly important in the location of Ashford as it has such excellent transport links to London and Europe, so competition for the best candidates is high. Ashford Borough Council entrusted Susanna Aiano, the council’s HR Projects and Staff Engagement Officer, with the challenge of rewarding staff in a public sector environment which is in the midst of budget cuts. This included finding a way to attract and retain forward-thinking employees who matched the council’s uniquely innovative outlook. Susanna knew the council needed a benefits strategy which was future proofed to sustain successful recruitment and keep talent from going elsewhere. Many will be familiar with the need to convince leadership that investment in employee benefits is a must, and for Susanna it was no different. Susanna gauged interest in the organisation’s employee benefits offering by including a survey in the company’s staff magazine. And after only a single day, a quarter of the staff had registered their support. Susanna used this people power to pitch a presentation to the council’s Management Team, which highlighted the HR principles behind employee benefits, and passionately argued her case for moving away from traditional public sector views. The council’s leadership were quick to buy into Susanna’s obvious passion for the project and agreed to implement the benefits offering so long as she could ensure it matched seven key objectives. With the green light from management, Susanna quickly identified Reward Gateway as the right partner to provide an employee benefits offering for Ashford Borough Council – appropriately christened My Ashford Rewards. And using the highly customisable elements of Reward Gateway’s offering, Susanna was able to start building an employee benefits brand which was instantly identifiable to all of the council’s staff members. This included a personal name for the offering, matching the organisation’s corporate branding and the introduction of Sir Wilbur of Trottsville – who quickly become the council’s much loved internal benefits mascot. Wilbur was featured heavily in Susanna’s promotion of the council’s employee benefits offering, including a monthly article in the staff magazine, being placed on branded chocolate bars when the offering was launched, changing up his appearance with the seasons – and even appearing in person at key staff events! Susanna didn’t stop at Wilbur and used a bespoke communication strategy which used a range of engagement tools to reach Ashford Borough Council’s diverse workforce. Susanna’s strategy focussed on the drip feeding of information at employee’s desks and around the office, helping the My Ashford Rewards sink in and form part of employee’s everyday shopping habits. And as an added bonus of Susanna’s role, she comes into contact with all members of staff and can personally educate new starters on the merits of My Ashford Rewards as well as engaging existing staff members in conversation about the savings to be made. With this direct, tailored approach being so effective, Susanna created the council’s first staff engagement team to support with the increase in popularity. £1.5 million spent through My Ashford Rewards. £156,000 saved by staff through employee discounts. 82% engagement with the platform despite increasingly offline workforce. Increase in satisfaction in the latest Best Companies Survey regarding a “Fair Deal” – 4% higher than a one-star, mid-entry organisation. If the savings above were given by the council as a payrise, it would have cost them over £193,000 to provide. Instead, their investment has only been £39,000 so far. On top of those stats, the council was shortlisted for two categories in the Local Government Chronicle Awards this year which was incredible national recognition. Underpinning this was Susanna's benefits strategy to attract and retain staff that display the right behaviours to deliver the council's ambitious and creative aspirations.